This past weekend my brothers and I were craving ice cream hardbody (do people still say that in 2016?). They’re smiling on the inside. 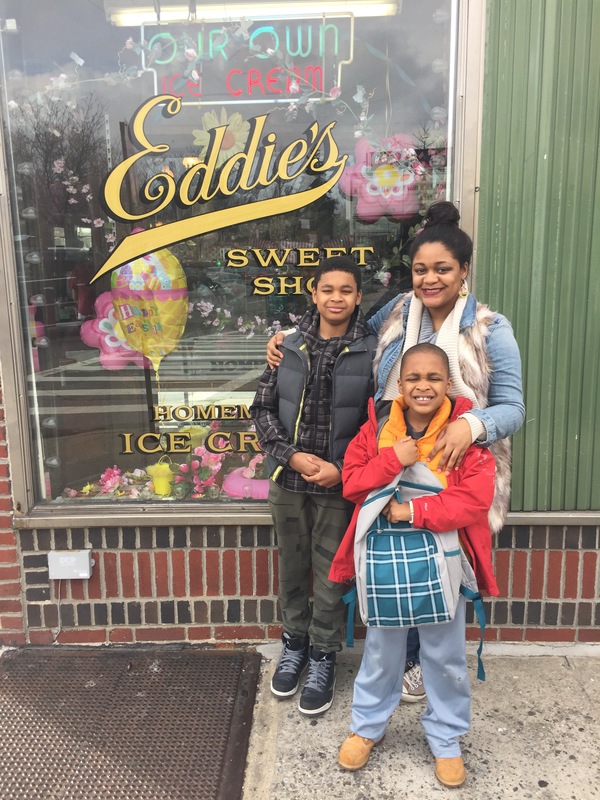 After a quick Yelp search, Eddie’s Sweet Shop was just one of the many spots that came up in my search: There seems to be no shortage of quaint ice cream parlors in this eclectic city and I was happy to take advantage of this fact. 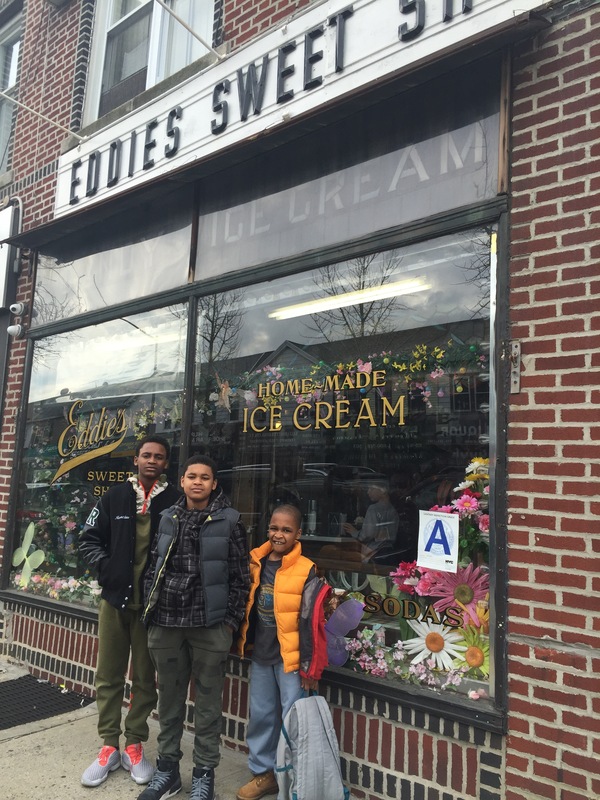 Authentic handmade ice cream is pretty commonplace in NYC and that is exactly what drew me to Eddie’s on Metropolitan Avenue in Queens. 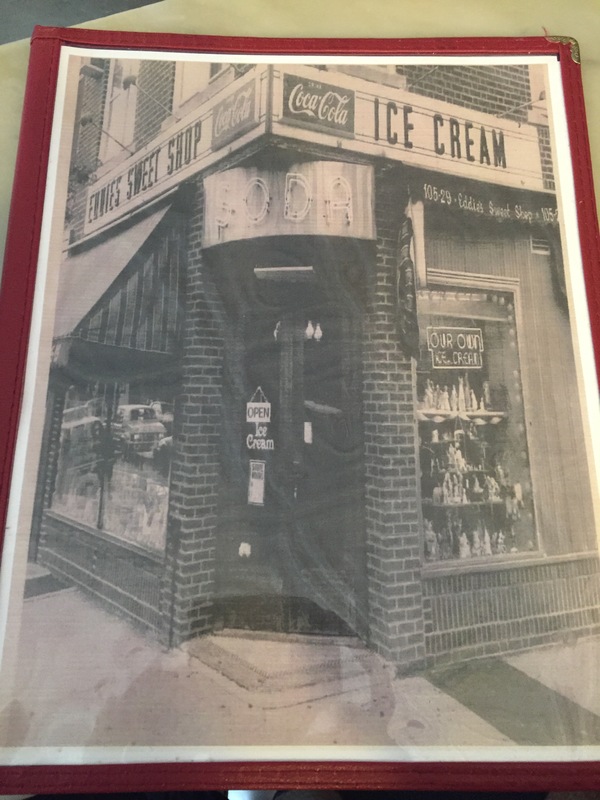 Erected in 1909, Eddie’s offers a dozen flavors of ice cream such tried and true favorites chocolate and vanilla as well as rum raisin and vanilla fudge. You won’t find any of those experimental flavors such as sriracha vanilla or birthday cake batter. This cold treat spot prides itself on tradition. And clearly that model has worked for them as they are a neighborhood favorite featured on many iconic New York lists. 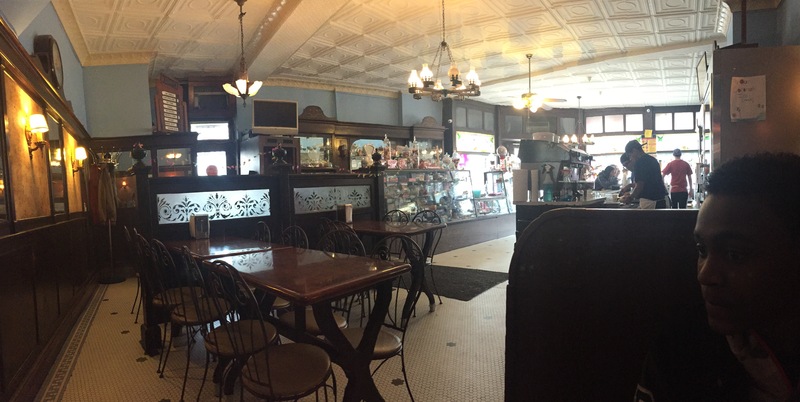 Inside the shop you will find vintage tables and chairs as well as a ice cream bar with stools. I opted for a booth to house my clan as we feasted on a Monmouth sized banana sundae. 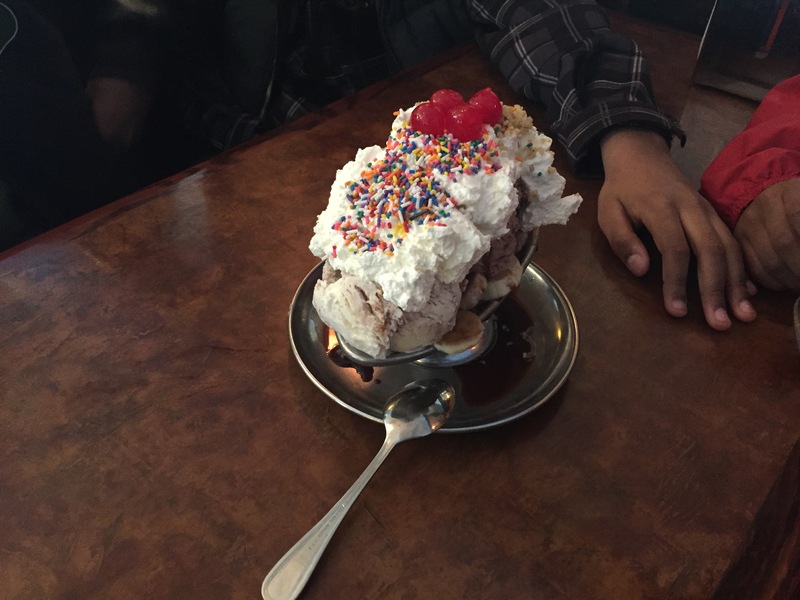 Our banana sundae royale featured three scoops: vanilla, vanilla fudge and chocolate towered high with whipped cream sprinkled in rainbow, chocolate syrup and topped off with cherries. It was enough to satisfy our tastebuds to the tenth power. Let me know if you give Eddie’s Sweet Shop a try or if you’ve had them already and tell me what you think!